A day of fun awaits you today, get out and play! 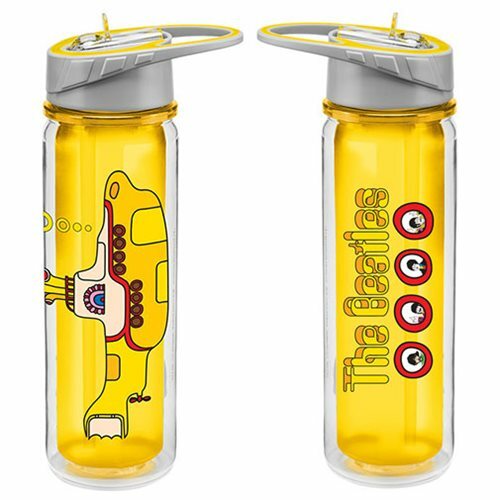 Stay hydrated along the way with The Beatles' Yellow Submarine and this water bottle. BPA free! Hand wash only. Not dishwasher safe. Do not microwave. Measures approximately 10-inches tall. Holds up to 18 ounces of liquid. Ages 13 and up.